When you think of performing a bike like exercise, then this innovative York Active 120 Exercise Bike is for you. Even though exercise bikes come in handy, this one beats many of them because it comes with exceptional features that makes it an idea fitness equipment in your gym. This stationary bike offers its users 16 different resistant levels as well as twelve pre-set instruction that you can use it to adjust the machine. The different program directly implies that it is effective for both novice and professional users. Without going into many details, it is so well priced and that is why many have come to purchase it. You also need a small room to assemble it and this process is also simple and fast and anyone can do it. The ability of this machine to adjust makes it great for anyone out there interested in REAL body workout. The York Active exercise bike is an effective workout machine for any person who wants to be in that perfect body without using any medication. It is used as an ideal gym equipment for cardiovascular fitness. The ability to engage in various parts of the body with this equipment helps in burning calories and fats keeps one’s cardiovascular system at its best. Many have agreed that it has made it possible for them to lose their excess weight within a short span of time. The reason for this is obviously because it is all round body workout equipment that offers more that twelve different exercises. Few people have complained that the magnetic resistant seem to jam after some exercises. This error occurs in an intermittent fashion whereby it could occur then disappears and it could again occur. The other issue is that the heart sensor seems like a guessing machine which could give results that appears ambiguous or rather faked. One could see that it is either going up or down when in reality, it should be doing the opposite. 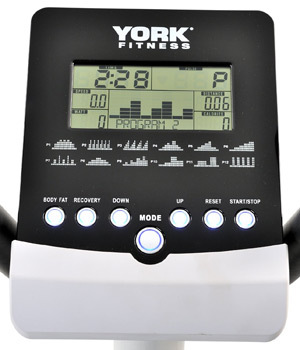 One person has also complained that his York Active 120 Exercise Bike calibration was not available. All in all, this fitness bike has come to be accepted by many people if not all. The errors that were brought forward by the few were rectified and they are now having their best time of life with it. In general, this fitness cycle is best suited for person who wants to attain a body workout that no one can doubt. At its price and features, it is a product worth to have. The users overall rating is beyond average and indeed next to perfect thus no major issues with it. 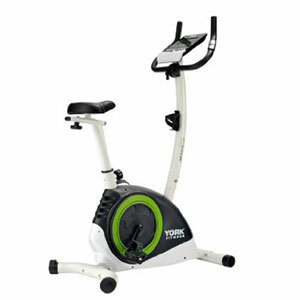 Take your workout routine to the next level by using this York exercise bike for your gym. Good luck as you also have the time of your life doing great things through exercises. 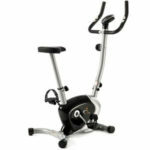 Find more reviews about this York Active 120 Exercise Bike at Amazon here.